This adorable black and white plaid dress has a cute schoolgirl vibe we love--it is perfect for Fall paired with black tights and pumps. 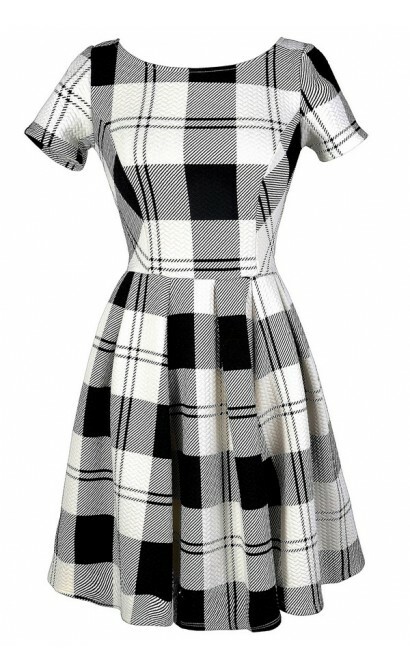 The Melody Bold Black and White Plaid Dress is made of a textured fabric with a bold black and ivory plaid pattern throughout. 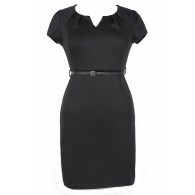 It has a rounded neckline, short sleeves, and an A-line skirt with subtle pleating. A hidden side zipper completes this dress. Details: Made in USA. 96% polyester, 4% spandex. Hand wash cold or dry clean. Small measurements: Length from top of shoulder to hemline: 34". Bust: 32". 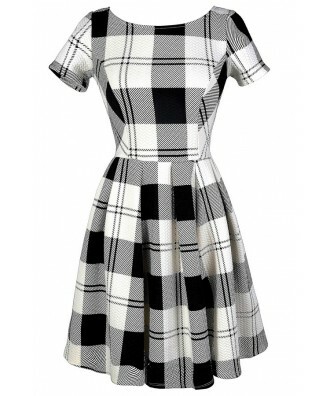 You have added Melody Bold Black and White Plaid Dress into Wishlist. 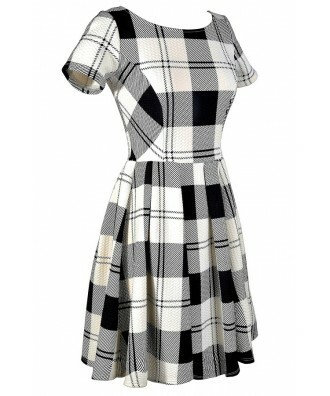 You have added Melody Bold Black and White Plaid Dress for Stock Notification. 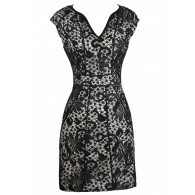 You have set Melody Bold Black and White Plaid Dress as a loved product. 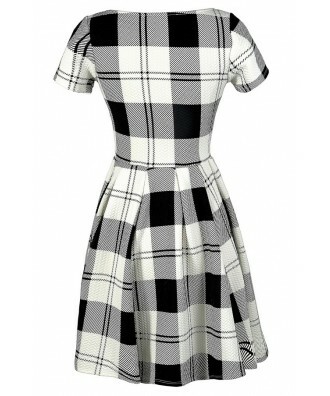 You have removed Melody Bold Black and White Plaid Dress as a loved product.